As a Nationally recognized Professional Architectural Color Consultant I create custom color plans for residences and commercial properties, interiors and exteriors. 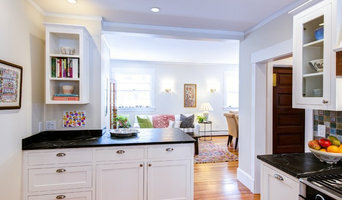 I advise on paint color, wallpaper, flooring, exterior cladding, kitchen & bath finishes - anything where color is applied. The environments I create emphasize flow, cohesion, beauty and function. I'm experienced with renovations, remodels and new builds. I offer interior styling services advising on decor & furniture, tiles, textiles, lighting fixtures, hardware, plumbing fixtures and bath & kitchen materials selection. I am a cited color expert in Elle Decor, The Huffington Post, Family Circle, Consumer Reports, and many other venerable shelter and general interest publications, online and in print. Located in the Northern Hudson Valley of NY my "local" reach spans the Hudson Valley, NYC, the Capital District of NY, The Berkshires, the Catskills & the NW Litchfield Hills of CT. For longer distance clients I advise remotely all over the nation. WWW.DICHOTOMYINTERIORS.COM Dichotomy Interiors is located in the Hudson Valley/Catskill region of Upstate NY. Locally based, the firm focuses on blending contrasting styles, textures, colors, materials and price points to create a unique and layered interior experience in your home or business. We take pride in seeing the interior design of your project from inception to completion, and offer hands on project management for weekend and part -time residents to successfully accomplish their goals. A good home design professional will hone your style down to its very essence and be able to choose a functional layout that feels natural to you. Interior design companies can be involved as much or as little as the client desires. Many clients who hire an interior decorator in Gaylordsville, CT — particularly those who are remodeling — have a good sense of how the room should look and what products they should use. Often clients will insist that interior decorators use the products already present in the house. Other times a designer will need to start from scratch — especially if this is a newly purchased or just-built home. An interior design company will need to figure out exactly what the client needs, which includes organizing rooms, picking flooring and wall colors, and finding furniture to complement it all. Sometimes that means he or she will have to recruit help from other Gaylordsville, CT home professionals to help create the perfect look for your renovation. Here are some related professionals and vendors to complement the work of interior designers & decorators: Architects & Building Designers, General Contractors, Home Builders, Design-Build Firms, Photographers. Do your research before meeting with an interior designer or home decorator in Gaylordsville, CT. Ask yourself what you want your space to become and what it will be used for. Figure out the extent of what you need help with, what your must-haves are and what your budget is. Interior design services can add up fast, so be up front with a potential design firm or individual from the beginning. Also, pick an interior decorator that fits your style. Browse through the portfolios of different Gaylordsville interior design firms and decide if you would live in those houses. Just because you like something doesn’t mean you could live in it. There's a big difference! Find an interior designer or home decorator in Gaylordsville, CT on Houzz. Narrow your search in the Professionals section to find Gaylordsville interior designers near you. 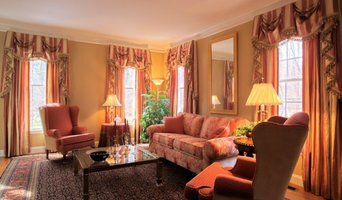 You can also look through Gaylordsville, CT photos to find a room you like, then contact the design firm who designed it.